A year ago, at the retreat in Kiekrz near Poznan, the Rev. Prof. K.M.P. 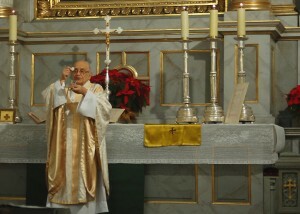 Rudnicki offered to celebrate the Eucharist in the Episcopal rite each month in Cracow. Thanks to the efforts of one of the participants of the Polish Episcopal Network, Max Jaworowski, we soon found a location and the first service was held already on the second Saturday of October 2012. Since then the services are held each month except when retreats are planned. They are celebrated most often by Fr. Rudnicki, aided by Dominik Chmielewski or Pradusz as preachers. In the short history of our project this is the first anniversary, which we of course would like to celebrate. 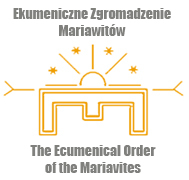 On this occasion, a Eucharist will be held at St. Martin’s Lutheran Church in Grodzka Street, the church where we inaugurated the project in March of last year together with Bishop Pierre Whalon and Prof. Dan Joslyn-Siemiatkoski. It will be presided by Fr. Rudnicki. We invited also our Lutheran hosts, and there will be a choir specializing in the music of Polish Reformation. It will be conducted by Lukasz Laxy who will also be the organist. We are especially glad that our anniversary overlaps with the visit of one of our most dear friends from the United States, the Rev. Dr. Gregory S. Neal, the Senior Pastor of Northgate United Methodist Church of Irving, Texas, and Rector of Grace Incarnate Ministries. He is a graduate of Southern Methodist University with the B.A. in History, Religious Studies, and Russian Language, Duke University with the M.Div. in Theology and Biblical Studies, and Trinity Graduate College with the Ph.D in Systematic Theology and New Testament Textual Criticism. His doctoral dissertation was in the field of Sacramental Theology and dealt with various understandings of the doctrine of the Real Presence of Jesus Christ in Holy Communion. Essential elements of this work have been re-drafted into readable English and have been published in his book: Grace Upon Grace: Sacramental Theology and the Christian Life. We have already translated fragments of the book into Polish, like a few sermons of his, and posted them on our blog, and are planning to translate the whole book. Greg is a “Clergy Member in Full Connection” of the North Texas Conference of The United Methodist Church. In addition to his pastoral duties in the local church, he has served on several boards and committees of the North Texas Conference of the United Methodist Church. Beyond these responsibilities, Greg has also been involved in several mission, ministry, and educational initiatives. He has taught This Holy Mystery: A United Methodist Understanding of Holy Communion to numerous lay and clergy groups across the denomination since its adoption by the 2004 General Conference. He has also lead numerous other spiritual retreats, revivals, and study seminars for groups all across the United Methodist Church and in other denominations. Greg is a past member of the American Academy of Religion and the Society of Biblical Literature. A member of the Order of Saint Luke, in the early 1990s he served as Prior of the Duke Divinity Chapter. His love of liturgy and the contemplative life, as well as his keen interest in the ecumenical movement, led to his being invited to become the first United Methodist Associate of the Society of Saint John the Evangelist, an Anglican Monastic community which has fed him spiritually for 20 years. Greg will preach on October 19, and there will be an opportunity to meet and talk to him after the service. This entry was posted in English entries and tagged Anglicanism, Greg Neal, Konrad Rudnicki, Methodism, Polish Episcopal Network, Worship. Bookmark the permalink.